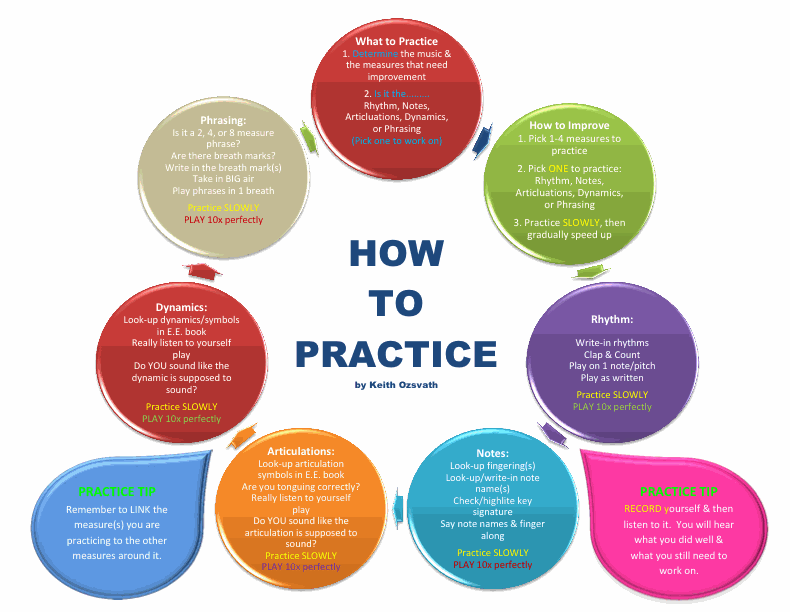 So you sit down to do your band homework....Practicing and you suddenly don't know what to do....try this for a plan! What do I want to work on next time? Check out this GREAT Chart to give you some more pointers!